Talking About ‘The House On Half Moon Street’ with Bibliobeth! Everyone has a secret… Only some lead to murder. Leo Stanhope. Assistant to a London coroner; in love with Maria; and hiding a very big secret. For Leo was born Charlotte, but knowing he was meant to be a man – despite the evidence of his body – he fled his family home at just fifteen, and has been living as Leo ever since: his original identity known only to a few trusted people. But then Maria is found dead and Leo is accused of her murder. 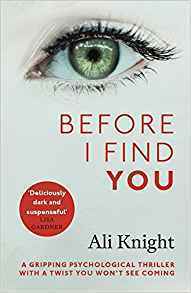 Desperate to find her killer and under suspicion from all those around him, he stands to lose not just the woman he loves, but his freedom and, ultimately, his life. CHRISSI: I told you when I started reading this book that it wasn’t what I had expected. Did you have any preconceptions of this book? Did it live up to your expectations? BETH: I know you weren’t super keen on this one when we originally looked at it and to be honest, I wasn’t sure what to expect myself. I’m desperately trying to step away from judging books too much before I give them a chance so I went into it with an open and intrigued mind. Also, even though I usually read the synopsis before I get stuck in, I tried to go into this book a little blind so that I could find out all about it myself without making any pre-judgements. In the end, I’m glad I did this as it made the story and the character of Leo more exciting for me and I was curious to see how it would continue. BETH: What do you think you anticipated from this novel? How did your opinion change as you began and then finished it? CHRISSI: I was NOT keen at all on reading this book. I did a you (hee hee) and judged it by its cover and the crime genre. I’m not a massive fan of the genre because it doesn’t always capture my attention. I personally feel that the genre is overpopulated and there are so many similar books. However, my opinion completely changed. I was pleasantly surprised and I feel like Alex Reeve brought something new to the genre. CHRISSI: We’ve read books set in Victorian London before. How do you think the setting is compared to other books set in the same era? BETH: I think the setting was definitely very evocative. Victorian London is one of my favourite settings to read about and I especially enjoy crime set in this era. However, because a lot of different works of fiction have been set within this time period, there is always a chance it can feel a bit stale. Luckily, I don’t believe this is the case with Half Moon Street. The author drops you expertly into the Victorian era with a lot of vivid descriptions of the streets and the people that walked them at this time in history. It took me right back in time, like I wanted and sits perfectly alongside other books set in this period. BETH: Who was your favourite supporting character and why? CHRISSI: I’m not sure it’s a ‘favourite’ as such but I was intrigued by Rosie Flowers. Yes, that really was her name. I wanted to know whether I could trust her or not and I was very interested in her history. It’s hard to pick a favourite as the characters are incredibly well rounded and developed. I think I could have easily picked a few. Maria herself intrigued me throughout, even though she had died (not a spoiler) early on in the story! CHRISSI: Did this book capture your attention all the way through? What was it about the story that kept you reading? BETH: I can say with complete confidence that my reason for turning the pages was most definitely the character of Leo. From the very beginning, you understand what an extraordinarily difficult life he has had and this could have made a story all of its own. When a murder is thrown into the mixture, Leo (turned amateur detective) becomes an even more endearing character who you find yourself rooting for constantly. BETH: How do you think the author manages to capture the dark side of Victorian London? CHRISSI: I felt like Alex Reeve really captured the dark side of Victorian London well. I definitely felt the atmosphere that I can imagine was around Victorian London. There were many elements that portrayed Victorian London effectively. The prostitution, the murders, the gore (especially the talk of the innards at the start!) the role of the men and women. It was all there in all it’s glory gory. It really struck a chord with me, that Leo knew he’d be put in an asylum if it was found that he dressed as a man. CHRISSI: Without spoilers, what did you make of the ending? Can you see this becoming a long series? BETH: I liked the ending! I thought I had it all figured out but not quite. Things are resolved to an extent but the reader is definitely left hanging in one respect as to what might happen next (generally speaking) in the life of our main character, Leo. It absolutely has the potential to run as quite a long series because of the strength of Leo’s character and the potential adventures that he could become embroiled in. Maggie is a husband watcher. A snooper, a marriage doctor, a destroyer of dreams, a killer of happy-ever-afters. She runs her own private detective agency specialising in catching out in those who cheat. And she is bloody good at it. Helene is a husband catcher. A beautiful wife, a doting step-mother, a perfect home maker and a dazzling presence at parties. She has landed herself with one of the most eligible bachelors in town – handsome property developer Gabe Moreau. All three women suspect Gabe Moreau of keeping secrets and telling lies. But not one of them suspects that these lies could end in cold-blooded murder . . . I think if you’re a regular reader of my blog you’ll know that I absolutely adore thrillers. Especially psychological thrillers. I thought the premise of this book sounded very intriguing, so I was excited to be approved for a copy. I had heard mixed things about this book. If I’m honest, I can see why it has mixed reviews, but I’m glad I read it because it was a story that captured my attention- even if it didn’t hold it all the way through. It centres around a private detective named Maggie who specialises in catching cheating husbands. Helene is married to Gabe, a rich, successful man. She starts to doubt his faithfulness when she sees him with another woman. Helene hires Maggie to find out more. There are so many secrets and lies revealed as the story progresses and things aren’t what they seem. I haven’t read this author before and I felt like she had a very easy to read writing style. I liked how she included a count down to an event from the very start of the book. It built tension and you just knew that something bad had happened. The characters were really interesting and well developed. I think my trouble with this book was its pace. I like my psychological thrillers to pack a punch and move quickly. I started to lose interest in the story. This book takes things very slow until the last few chapters where there are so many twists that you wonder if you’re still reading the same book. 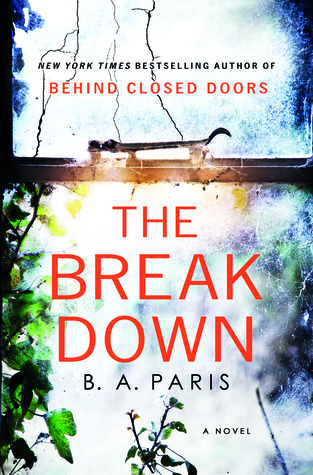 Whilst it wasn’t my favourite psychological thriller, it was still a story that kept me reading! 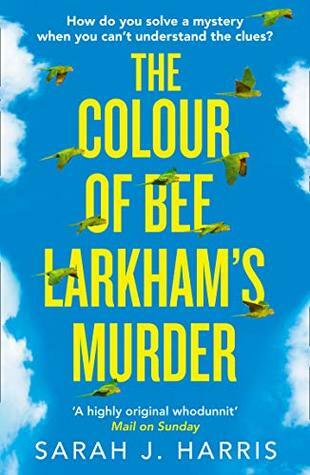 Talking About ‘The Colour Of Bee Larkham’s Murder’ with Bibliobeth! Synaesthesia paints the sounds of his world in a kaleidoscope of colours that no one else can see. But on Friday, he discovered a new colour – the colour of murder. He’s sure something has happened to his neighbour, Bee Larkham, but no-one else seems to be taking it as seriously as they should be. The knife and the screams are all mixed up in his head and he’s scared that he can’t quite remember anything clearly. CHRISSI: This book has been compared to The Curious Incident Of The Dog In The Night Time. Do you understand and/or agree with that comparison? BETH: Absolutely. It also reminded me a little bit of The Trouble With Goats And Sheep by Joanna Cannon.You started reading this novel a little bit before me and I saw your post saying that it reminded you of The Curious Incident. Now I’ve had a chance to read it myself, I completely agree. 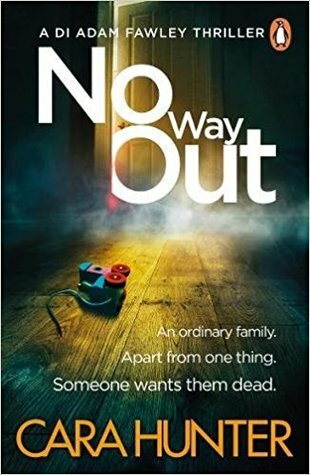 Both stories follow a young boy with autism as he struggles to cope with the suspected murder of one of his neighbours. There are differences however which made it unique in its own special way. For example, Jasper has synaesthesia which offers an additional quirk in how he views the world. Secondly, whilst our main character in Curious Incident is desperately trying to investigate his neighbours murder, Jasper appears more troubled by the situation. BETH: Was this book what you expected? If not, why not? CHRISSI: Not at all. I expected it to have Curious Incident vibes and it did. However, I thought it was totally unique. The character of Jasper was so well thought out and well developed that it made me absolutely adore him. I thought the family dynamics were fascinating. I basically can’t rave enough about this book because I thought it was fantastic. I really did. It will stay with me for some time! CHRISSI: What did you think had happened to Bee Larkham? Did your opinion change throughout the book? BETH: I had no idea. 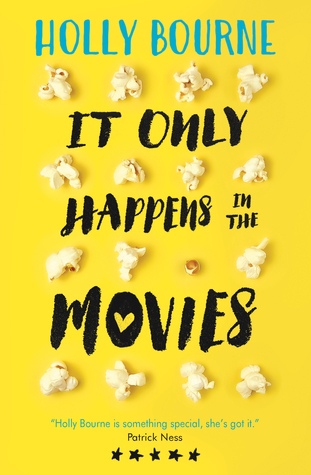 The author drops little hints along the way and it does become quite worrying, especially in the clues that are given throughout the narrative and how they connect to our main characters but as for the details of what happens to Bee, it is left deliberately vague until the very end. It’s much more a story of Jasper, his relationship with his father and his struggles with face blindness and how to recognise people, even those that should be completely familiar to him. I wouldn’t say my opinion changed through the novel exactly but I was surprised by the final reveal. BETH: Did you have a favourite character in this novel? Who was it and why? CHRISSI: My favourite character was Jasper. He was so endearing. I have taught children very similar to Jasper before, although without the synaesthesia, so he reminded me of them. I have a special place in my heart for children with autism. I think it’s fascinating how they see the world and Jasper certainly fascinated me. He’s such a delightful character and I think, if you’re going to read this book, you’re in for a treat when you meet Jasper. CHRISSI: Had you heard of synaesthesia before reading this book? If so, did you think the author’s interpretation was accurate? BETH: I had heard of it before but was always a little bit confused about what exactly it entailed. This is one of the only novels I’ve read that focuses on the subject and explains it to the reader in a way I could finally understand. Jasper has problems with face blindness and is only able to recognise people (even his own father) by either focusing very hard on particular items of their clothing or the colour of their voice. Whenever there is noise, be that music, bird song or just people talking, they emit a very specific colour. Some of these are more palatable to Jasper than others and he will recognise that person in future by concentrating on the specific colour he sees when they speak. BETH: If this book was a colour, what would it be and why? CHRISSI: My initial thought is blue. I don’t know if that’s because my version had a blue cover. I feel like the colour blue has such a strong representation in this story that it just has to be blue! CHRISSI: This book is undoubtedly unique. What was it that made it so unique for you? BETH: Can I say everything? Even though the similarities to Curious Incident are there, it stands on its own completely as a very separate, very special piece of writing. I loved how it explored Jasper’s world and the growth of his relationships with other characters, even his own father. The description of the colours was done so beautifully it made the writing more vibrant and an absolute pleasure to read. 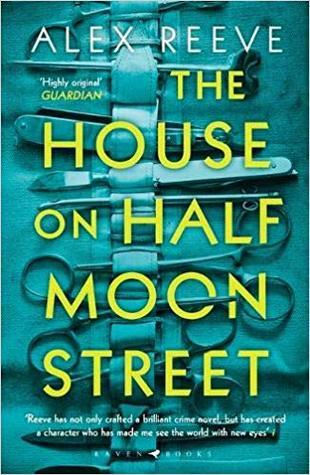 Then there was the mystery element of what exactly happened to Bee Larkham and I adored how this was unravelled – from her very first days on the street until the present time when her demise is much more convoluted than you could ever imagine. CHRISSI: Certainly! I thought this was an incredible read! Talking About ‘Dear Mrs Bird’ with Bibliobeth! CHRISSI: We all know now that you’re a cover judger. (Tee hee!) What were your first impressions of this book? BETH: Sssh, that’s a secret! Oh well, you’re right, everyone probably knows by now. 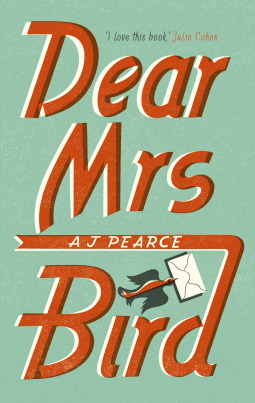 To be honest, with Dear Mrs Bird, I didn’t really have any impressions of the cover, positive or negative. I thought it was an okay cover, remarkably inoffensive but something that didn’t give away much about the contents of the novel (which can both a good and bad thing!) or stands out in any way. Luckily, I had heard good things about it from my fellow bloggers and had some vague idea about the arc of the story so I was looking forward to reading it. BETH: Author AJ Pearce incorporates charmingly old-fashioned expressions to help convey a sense of the time period. What were some of your favourite terms? Did the language help your understanding of the era and the characters’ personalities? CHRISSI: My impression of the book was indeed that it was charmingly old-fashioned. It was awfully British. I loved how Mrs Bird described anything ‘naughty’ in the letters as ‘unpleasantness.’ I also loved the use of the word ‘jolly’ too. We don’t use jolly enough. I’m going to make it my mission to bring it back. I liked it said someone was ‘awfully lucky.’ There was a lot of ‘awfully’! Two of my favourites were ‘Right-o!’ and ‘Crikey!’ It definitely gave me a sense of the era and of the characters’ personalities. CHRISSI: One of the major themes of the novel is friendship. Discuss Emmy and Bunty’s relationship, and all the ways they support and encourage each other over the course of the novel. BETH: I do love a strong female friendship in a novel, especially one like Emmy and Bunty’s where they are so close that they literally become part of each other’s family. I think both girls needed the other one in their lives for strong support, humour and to confide in during the tough and dangerous times that they are living in. This is particularly evident when a crack forms in the relationship and the two girls are almost lost without the other to lean on. BETH: Did you have a favourite character in this novel and why? CHRISSI: I did have a favourite character. I did enjoy the friendship between Emmy and Bunty, but I have to say I liked Emmy more. I thought she was a very easy character to like. I was rooting for her throughout the story. I really wanted her to do well. CHRISSI: Did you enjoy the pace of the story? Was it ever too slow/fast for you? BETH: I did enjoy the pace. It wasn’t particularly action-packed and exciting but I don’t think that’s what the author intended it to be. It was about very ordinary characters doing extraordinary deeds and displaying huge amounts of resilience when placed in war-torn London and having their lives put at risk every single day. At some points it did feel slightly too “jolly hockey sticks,” and “British stiff upper lip,” but at the same time, I really enjoyed the quintessential and classic British-ness of it all. BETH: Do you think Emmy was right to confront William after he rescued the two children? Was his reaction warranted? CHRISSI: I could see it from both Emmy and William’s point of view. Emmy was worried about William losing his life and wondered how her good friend Bunty would deal with that if it happened. William was purely doing his job though so I can totally see why it got his back up. CHRISSI: If you were to put this book into a genre, which one would you put it in? BETH: I think I would put it in historical fiction, purely for the World War II aspect, the emotional accounts of the bombings and the brave efforts of so many volunteers to keep London and its inhabitants safe each night. CHRISSI: Yes, I liked the author’s rather gentle writing style!